ThymuPlex™ / 50 tabs - Nature's Way®. 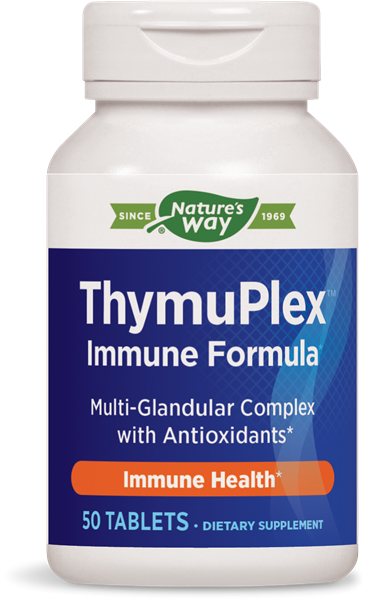 Why use a supplement to support the immune system? ‡Complexed with citrate, fumarate, malate, succinate and alpha ketoglutarate intermediates. Do not use this product if you are pregnant or nursing. Not recommended for individuals with autoimmune conditions. Individuals with allergies to plants of the Asteraceae (Compositae) family, including ragweed, should use this product with caution. If you have diabetes, or are taking any medications, consult a healthcare professional before use.